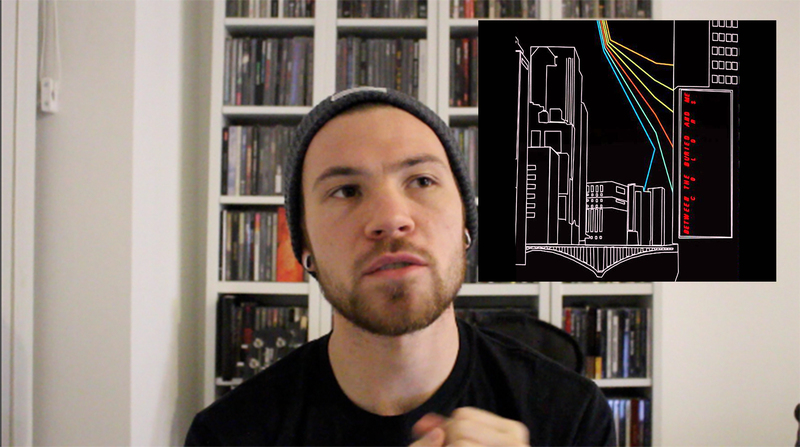 Home » Blog » BETWEEN THE BURIED AND ME’S COLORS ONE OF THE MOST INFLUENTIAL PROG ALBUMS OF THE LAST DECADE? From small ideas come revolutionary outcomes. Striving for experimentation, Prog is unlike any other genre in the world of music. Being bold and daring is encouraged, experimenting with the unknown is applauded and having someone stop the record, rewind and say “What was THAT? !” is a real achievement. The scientists of the musical world, Prog is forever looking to expand. In a special ten years later segment, I look at just how influential Between The Buried and Me‘s Colors was and still is ten years to the day. Coming off the back of the beautiful, if slightly clumsy Alaska, Between The Buried and Me were finding their metaphorical feet. A line up that has been solidified for many a year now, guitar duo Dustie Waring and Paul Wagonner, Bass Dan Briggs and Blake Richardson and rounding out the line up Tommy Giles. Reticent to this new format of Prog, people might have been slightly skeptical when faced with such a daunting listen. Of course, I’m not saying that this was the most influential Prog album of all time, we’ve got the likes of Opeth, Cynic, Death, Atheist and many more to thank at the very minimum for that. However combining the likes of what people would have called Metalcore and this sense of musical dexterity is something that had definitely not happened. From the word go, Colors is a record that engages the listener from the beautiful, piano touches of “Foam Born (A) The Backtrack” right up to the absolutely genius grand finale of “White Walls“. Incorporating all sorts of different styles from, Jazz, Country, Death Metal, Metalcore there is a smorgasbord of musical talent put forward here. The real genius behind their manipulation however was that with these tools at their disposal the band were able to create a sound entirely unique to them. One that has followed them ever since, culminating in their Homeric space odyssey that was 2015’s Coma Ecliptic. Concepts as ambitious as your own imagination nothing was impossible for these North Carolina progheads. Bringing melodies that would not only bookend the record but would reappear as a from of musical narrative in later parts of the record. “Ants of The Sky’s” acrobatic leads, “Sun of Nothing’s” drop out clean section where the band return together, the stasis of “Viridian” these were all blueprints of just what BTBAM would come to achieve in the Prog world. Influencing an innumerable amount of bands that are being heralded as the second wave, the likes of Periphery, The Contortionist, Native Construct, Animals As Leaders etc… Colors is influential not only to the band but to the genre itself and, well for me, is regarded as one of the best modern Progressive Metal albums of the last decade. Between The Buried and Me are heading out on a US tour and are currently in the studio writing their follow up to Coma Ecliptic.